Email marketing is a compelling way to build relationships with B2B leads. Studies have shown it has the potential to deliver the top ROI in digital marketing. B2B email marketing shouldn’t focus exclusively on “offers.” By providing helpful, informative content B2B readers can use right away, you make it more likely they will forward messages to others in the organization who influence buying processes. Your subject line may be the most important part of your message. After all, people make their choice to interact with your message – or not – based on its subject line. The most effective way to improve subject lines is to use split testing to determine what resonates with your readers. The transition from website visitor to email subscriber is typically the first conversion a lead goes through. Be sure your content marketing strategy is driving those early conversions. 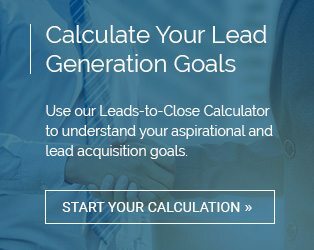 Do you have “lead magnets” that will motivate people to sign up for your list? Every piece of content you develop and deliver on the Web should have a clear call to action. The CTA you use depends on that content’s goal in the larger content strategy. Email should have an energetic, unmistakable CTA, often repeated several times in the body of the message. B2B decision-makers don’t want to communicate with “brands,” but people. In B2B, the lead and the vendor are equals with distinct, but similar goals. Your sender address, therefore, should reflect your identity. A combination of “Name @ Company” can reduce confusion. When people sign up for an email list, they want to get content relevant to them. They’re much more likely to unsubscribe if they see off-target messages. Segment your list so that leads, new customers, and loyal customers all receive messages focused on their needs. A meta-analysis of email marketing studies indicated that Tuesday may be the best overall day to send marketing emails. That said, the best time for your audience may vary. Keep an eye on your open rates and plan accordingly. Most email clients show the first sentence of the email as a preview of its contents. By stoking curiosity within this brief space, you can motivate users to click through to find out the facts. Your email subscriber list is one of your most valuable marketing assets. These eight tips will help you tap it for even greater revenue.